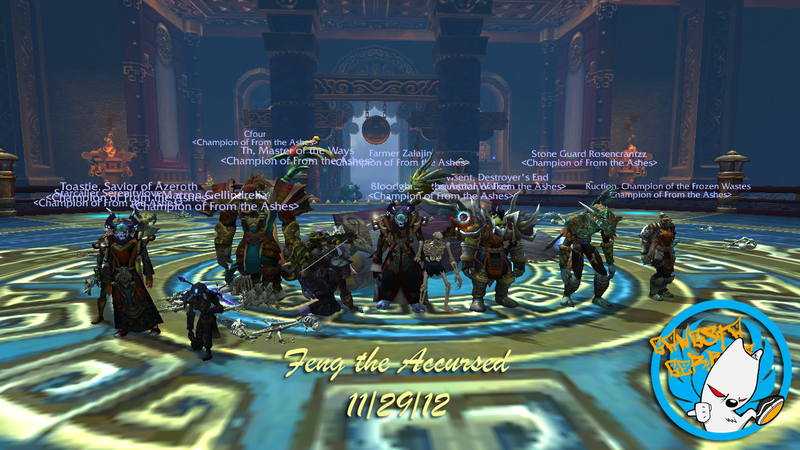 The Gangsta Gerbils downed Feng the Accursed for the first time last night. It’s about time! I think we finally have our attendance issues resolved and it’s beginning to show in progression. Tonight challenge modes. We’re going for a Silver Medal in The Temple of the Jade Serpent. If we get it, it will be a guild first silver medal!! « Temple of the Jade Serpent: Bronze!